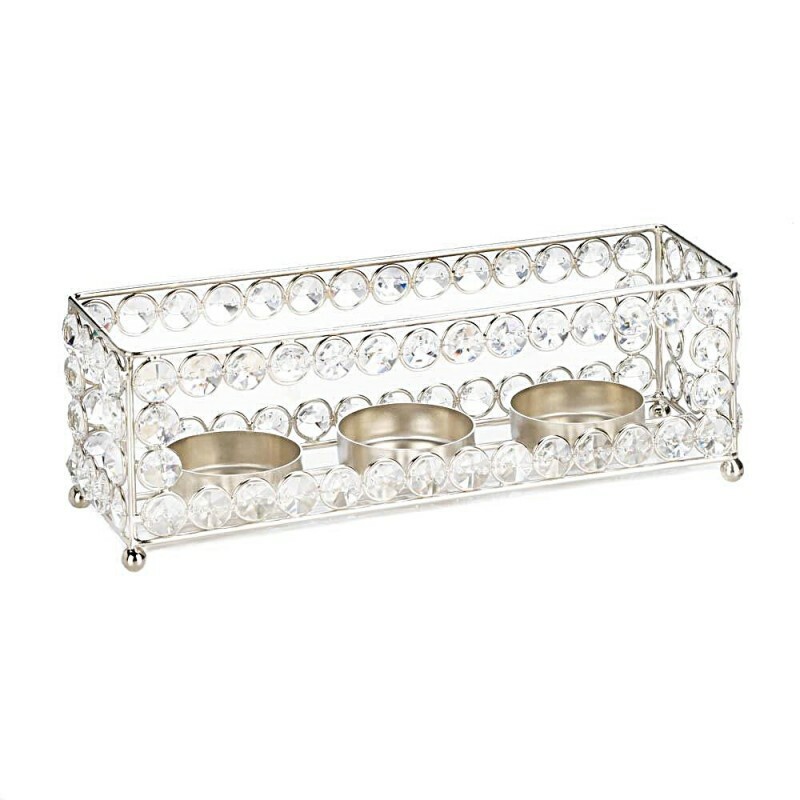 Make candlelight even more enchanting with this beautiful candle holder. 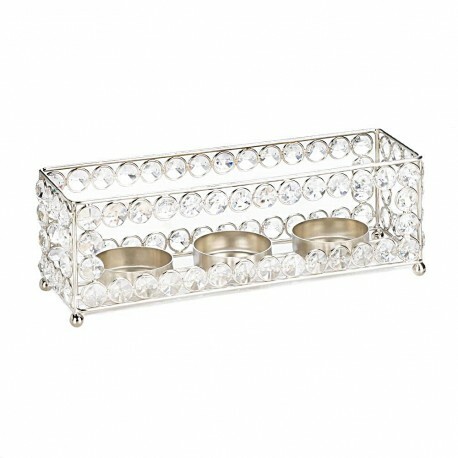 A collection of faceted clear crystal jewels set the stage for romantic light that will make your room sparkle. 10" x 3.25" x 3.25".